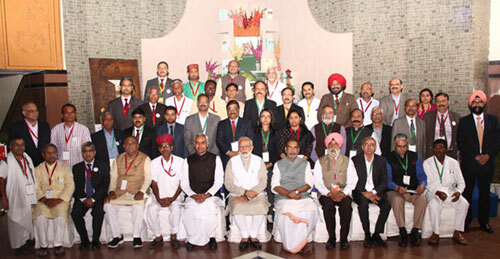 Promethean invited to participate in National Conference on Doubling Farmer Income. 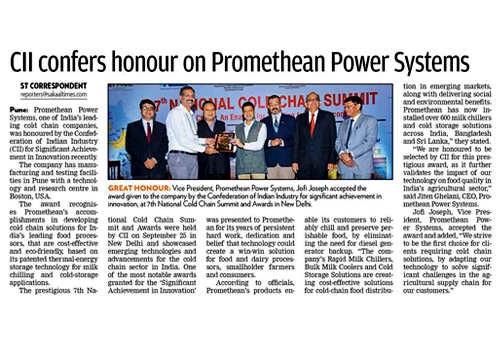 Promethean Power Systems, India’s leading cold chain company, was awarded the “Significant Achievement in Innovation” award for its innovative cooling solutions by CII (Confederation of Indian Industry). Promethean Power Systems, one ofIndia’s leading cold chain companies,was honoured by CII (Confederation of Indian Industry) for Significant Achievement in Innovation recently. The company has manufacturing and testing facilities in Pune, with a technology and research centre in Boston, USA. 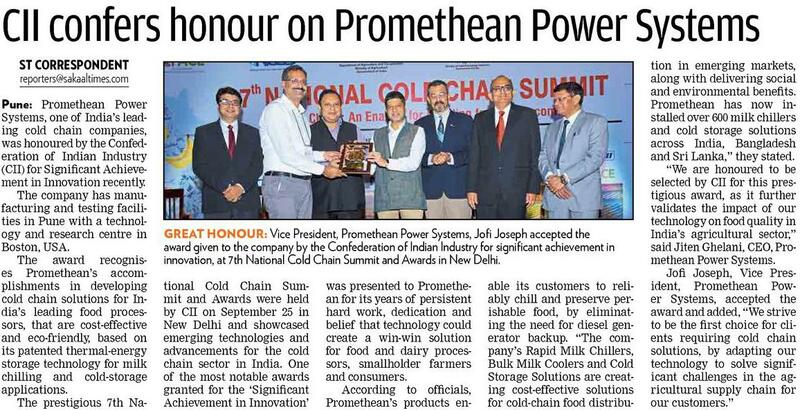 The award recognizes Promethean’s accomplishments in developing cold chain solutions for India’s leading food processors that are cost-effective and eco-friendly, based on its patented thermal-energy storage technology for milk chilling and cold-storage applications. The prestigious 7th National Cold Chain Summit and Awards were held by CII (Confederation of Indian Industry) on 25th September, 2017 in New Delhi and showcased emerging technologies and advancements for the cold chain sector in India. One of the most notable awards granted for the “Significant Achievement in Innovation” was presented to Promethean for its years of persistent hard work, dedication and belief that technology could create a win-win-win solution for food and dairy processors, smallholder farmers and consumers. According to officials, Promethean’s products enable its customers to reliably chill and preserve perishable food by eliminating the need for diesel generator backup. “The company’s Rapid Milk Chillers, Bulk Milk Coolers and Cold Storage Solutions are creating cost-effective solutions for cold-chain food distribution in emerging markets along with delivering social and environmental benefits. Promethean has now installed over 600 milk chillers and cold storage solutions across India, Bangladesh, and Sri Lanka,“ they stated. “We are honoured to be selected by CII for this prestigious award as it further validates the impact of our technology on food quality in India’s agricultural sector”, said Jiten Ghelani, CEO, Promethean Power Systems. Jofi Joseph, Vice President, Promethean Power Systems, accepted the award and added “We strive to be the first choice for clients requiring cold chain solutions by adapting our technology to solve significant challenges in the agricultural supply chain for our customers”. The partnership between BRAC and Promethean Power Systems to reduce spoilage of raw milk produced by dairy farmers has proven a success. Buoyed by the success of their initial investment in five Rapid Milk Chillers, BRAC has recently purchased 19 more similar units from Promethean. The aim is to link more dairy farmers to key markets while maintaining the quality of raw milk, said a statement. BRAC collects milk from over 100 village-level chilling centers, where at least 50,000 dairy farmers pool their daily produce, to sell packaged dairy products under its Aarong brand. In the long run, this is expected to bring more consumers into the fold of the formal, processed and packaged milk market in Bangladesh. Promethean Power’s Rapid Milk Chillers use a patented thermal energy storage technology that instantly chills raw milk to 4 degrees centigrade at the milk collection centers even in the absence of grid electricity and without using a diesel generator, has revolutionized quality assurance mechanism by helping farmers preserve milk it is collected for processing by overcoming common limitations faced by farmers in the developing nations – irregular electricity supply, poor infrastructure, and expensive diesel generator backup. As milk spoilage rates have dramatically dipped following the installation of the Rapid Milk Chillers, BRAC has been able to instill greater confidence among dairy farmers about finding guaranteed offtake of their milk every day. As timely milk chilling continues to bring better returns to farmers based on the quality of milk, many have made profits substantial enough to afford an investment in new cows — a mark of both progress and prestige in the local community. Nour-E-Alom, Manager, Milk Procurement, BRAC Dairy and Food Enterprise, said that they were looking for a solution that would be cost effective, eco-friendly, and scalable. “Promethean’s solution for our milk collection center is both cost effective and eco-friendly and we are extremely happy with the results. By installing Promethean’s Rapid Milk Chillers in the villages, we are able to eliminate wastage by over 90% and increase the volume of our collection,” he said. Promethean Power’s innovative solutions have already attracted attention and is gaining in popularity across the subcontinent. Promethean Power Systems recently installed its patented energy-efficient bulk milk coolers at village-level collection centers run by Thirumala Milk Products (P) Ltd, a subsidiary of Groupe Lactalis S.A.
Promethean’s innovative bulk milk coolers will now help Thirumala Milk Products (P) Ltd. chill raw milk efficiently without diesel generators at village level collection centres in Thirumannamallai district of Tamil Nadu and bring quality dairy products to consumers. Why Promethean’s Bulk Milk Coolers? 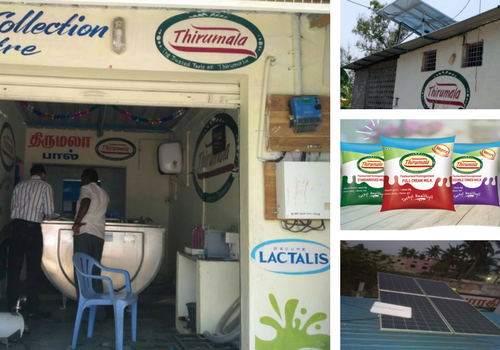 Thirumala was seeking a village-level milk cooling solution that would help procure and preserve high-quality milk while being both cost- and energy-efficient. The company chose Promethean’s bulk milk coolers over other products available on the market due to overall energy efficiency, low operational costs, and diesel-free eco-friendly operations. Promethean’s patented thermal-energy storage technology entirely eliminates the use of diesel generators for power backup, resulting in a significant drop in chilling expenses, and operational and maintenance costs for Tirumala Milk Products. The installation of the milk chillers, each with a cooling capacity of 2,000 liters per day, was marked by a festive inauguration ceremony. In addition to the bulk milk coolers, Thirumala installed Promethean’s solar pack add-on to maximize energy efficiency, reduce its carbon footprint even further, and eliminate the need for batteries to run the lights, milk analyzer and other essential equipment in the centers. A significant advantage of using the solar pack is that the milk tanker will be able to collect the milk even when there is no electricity available at the site. Thirumala Milk Products is one of the largest manufacturers and suppliers of dairy products in Andhra Pradesh, Karnataka, and Tamil Nadu. Tirumala was founded in 1996 and was acquired by French dairy giant, Groupe Lactalis S.A., in 2014. The company is focused on producing high-quality milk products with an emphasis on freshness, taste, and healthiness at the best possible price. 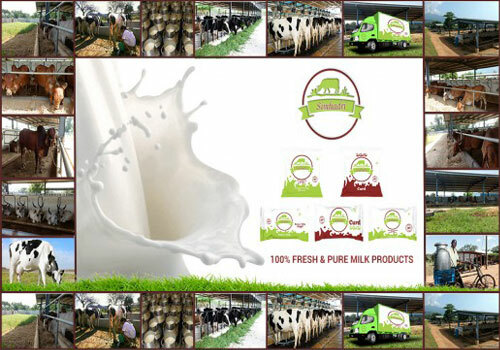 The company produces a range of assorted products including fresh milk, curd, flavored milk, lassi, buttermilk, ghee, UHT milk, ice-cream, and paneer. These are produced at nine state-of-the-art manufacturing plants spread across southern India. Tirumala has also built a strong presence in Telangana, Kerala, Madhya Pradesh, Uttar Pradesh, and West Bengal. Have questions or comments? Please send them over to info@promethean-power.com. 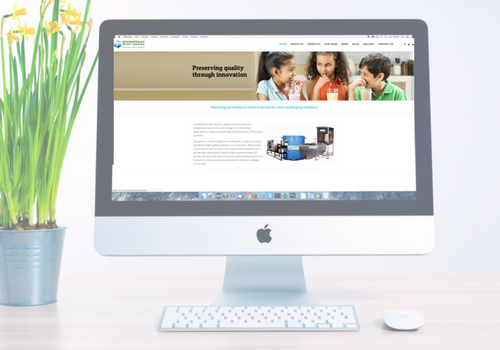 The Promethean Power Systems website, an important online touch-point for the company’s customers and stakeholders, now boasts a new and refreshed look. The new information-packed website features a clean, simple interface with separate sections dedicated to the company’s products, industry impact, customers and testimonials, and latest news and updates from the Promethean team. A detailed Products section that features a brief description, technical specifications, and data sheet for each of Promethean’s key product offerings: the Bulk Milk Cooler, Rapid Milk Chiller, Rapid Milk Chiller Premium, and Cold Storage Solution, among others. A Blog to help Promethean’s customers and business partners keep abreast of the company’s latest success stories, initiatives, and events in India and abroad. A News section that brings together everything that members of the press have to say about Promethean and its innovative dairy technology. An Our Team section that introduces the key members of Promethean’s team and its founders. A Gallery that carries images of Promethean’s products, customer sites, and team in action. The website also features resources such as videos, case studies, and product data sheets. Your comments on Promethean’s new website are welcome at info@promethean-power.com. 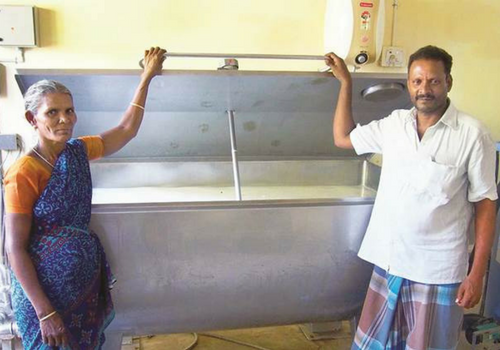 The near-quadrupling of milk procurement by dairy cooperatives in Gujarat over the last 15 years — from an average of 45 lakh litres to about 170 lakh litres per day — has been attributed no less to a single factor: 24-hour power in rural areas, including guaranteed three-phase supply for eight hours, enabling village-level societies to install bulk milk coolers (BMC). These, with capacities ranging from 1,000 to 10,000 litres, chill the milk to around 4 degrees celsius at the primary collection point itself, inhibiting microbial growth that can lead to undesirable quality/taste changes and expedite spoilage. But maintaining the freshness of raw milk sourced from farmers isn’t all that the BMCs have done. In the pre-BMC era, the milk collected by the society had to reach the dairy plant by 8:30 am or so, before day temperatures rose. It required procurement to start by 6 am and farmers undertaking milking at least an hour earlier, so as to not miss the tanker. The sheer need to hurry through the process, moreover, limited the number of animals that could be milked. With BMCs, the milk was chilled at source and remained fresh, which gave farmers the flexibility to deliver even at 9 am. They could now afford to expand their herd size and supply more milk. Today, an estimated 80 per cent of milk collected by Gujarat’s dairy unions comes through BMCs and it is not difficult to see the link between these and higher procurement volumes. Not every state, unfortunately though, is Gujarat — where farmers have assured electricity supply allowing milk to be chilled not very long after it has left the udders of cows or buffaloes. In much of rural India, power supply is irregular, which means even BMCs cannot do without the backup of diesel generators. This is where an innovation by Promethean Power Systems, a Pune-based company founded by two men from Boston has made a difference. 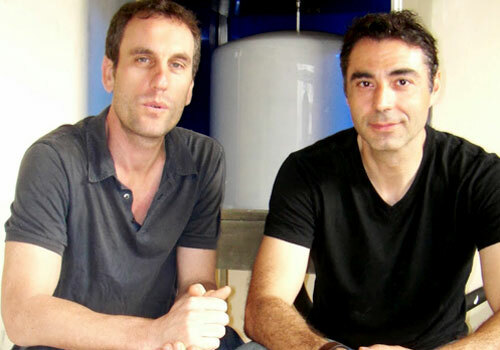 In 2011, Sorin Grama and Sam White built the final prototype of a Rapid Milk Chiller (RMC) based on a proprietary Thermal Storage System (TSS) technology. At the heart of it lay a thermal battery, which drew and stored electricity from the grid as and when available. This stored energy it then released to rapidly chill the milk collected from farmers at ambient temperatures — say, 35 degrees — to 4 degrees Celsius. L: Jiten Ghelani, CEO, Promethean Power Systems R: Jofi Joseph, Director – Sales & Marketing, Promethean Power Systems. Khanderao Nimbhorkar, a 45-year-old dairy farmer from Ahmednagar district’s Hattalkhindi village, is brimming with confidence and excitement. His dairy farming activities now fetch him a tidy sum of Rs 20,000 per month. Coming this far would not have been possible for Nimbhorkar without the help of Pune-based refrigeration solution provider Promethean Power systems. Co-founded by Boston-based entrepreneurs Sorin Grama and Sam White, the company has come up with a socially-relevant invention to strengthen the weakest link in the chain of dairy farming: milk collection. As the largest milk producer and consumer in the world, India has earned the sobriquet of the oyster of the global dairy industry. It accounts for 18 percent of global milk production in the world. Rural India churns out 102 million gallons of milk every year, generating employment for over 75 million dairy farmers. In life, it’s easier to fail than to succeed. Romania-born Sorin Grama and US-born Sam White learnt this the hard way in India. The two are co-founders of Promethean Power Systems, a company they set up in India some years earlier, moved base to Delhi for a while to sell their idea and, after having tasted many failures, seem to finally be on the way to achieving a degree of success. In 2007, the duo first came to India to try and sell a technology developed by some of their fellow MIT students. As the New Year begins, looking back at the ground Promethean Power Systems has covered in 2016 can provide clear insight into how the company can use its innovative chilling technology to help dairy partners improve quality and save cost. 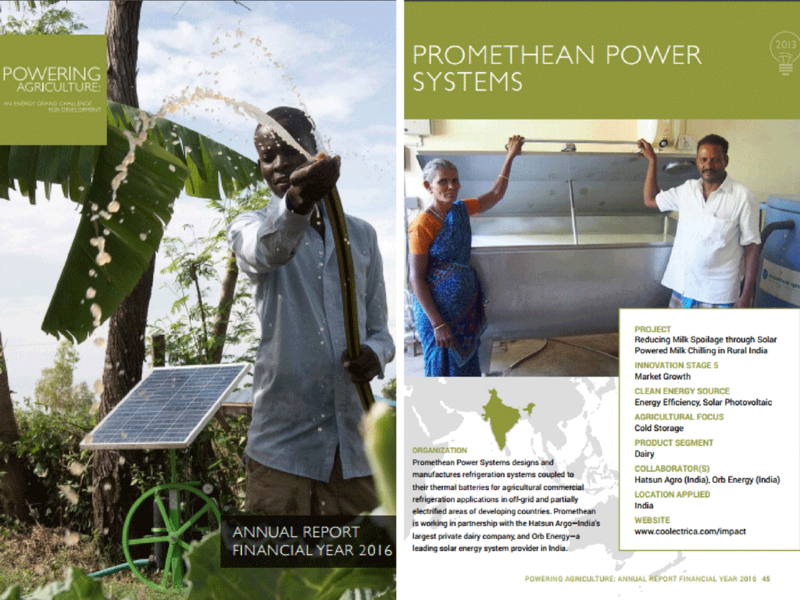 The Powering Agriculture: An Energy Grand Challenge for Development (PAEGC) annual report for financial year 2016 gives Promethean Power Systems an opportunity to do precisely that. The latest PAEGC annual report features Promethean Power Systems’ progress in helping its dairy partners switch over to a cleaner and more cost-effective way to chill milk. Promethean’s major collaborators on the project are Hatsun Agro, India’s largest private dairy company, and Orb Energy, a leading solar energy solutions provider in India. 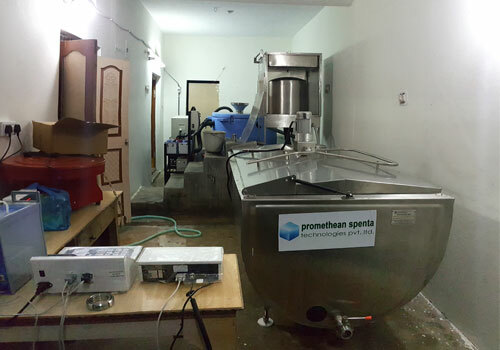 The report assesses the commercial and social benefits of Promethean’s refrigeration solution covering specific aspects such as wider market linkage to farmers, higher income through improved milk quality, reduced milk spoilage, and elimination of diesel as a power backup source. PAEGC is an initiative undertaken collectively by The United States Agency for International Development (USAID), the Government of Sweden (Sida), the Government of Germany (BMZ), Duke Energy Corporation, and the United States Overseas Private Investment Corporation (OPIC). Since 2012, PAEGC has been supporting the development and deployment of clean energy innovations that increase agriculture productivity and stimulate low-carbon economic growth in the agriculture sector of developing countries to help end extreme poverty and extreme hunger. PUNE: City-based refrigeration solution provider, Promethean Power Systems, said that it now will foray into the neighbouring countries of Bangladesh and Sri Lanka. The company, founded in the US in 2007, launched a manufacturing and testing facility in India in 2013. Since then, Promethean said it has sold over 500 milk chilling units to its dairy partners in India – most of them in villages. “Data collected over the last three years shows that at nearly every site, Promethean’s milk chillers have helped deliver benefits on three fronts: reduction in milk spoilage, improvement in milk quality, and elimination of diesel for power back-up,” the company said in a statement. Promethean now also plans to take its chillers, which are entirely made in India, to other countries in South Asia as well as new markets in east Africa. “Anticipating an increase in new orders, Promethean has ramped up local manufacturing in Pune to double its current capacity, which now stands at 300 units per year,” the company said in a statement. The bustling port city of Visakhapatnam, located on the Eastern coast of India, is increasingly assuming a cosmopolitan character – a change propelled by the rising aspirations of consumers. With consumers now willing to spend more on healthy living, the city is witnessing heightened demand for healthier produce, which, in turn, has prompted the rise of businesses offering premium quality products to discerning consumers. Simhadri Dairy, an innovative dairy start-up, is one such enterprise that is changing the status quo in the dairy sector. 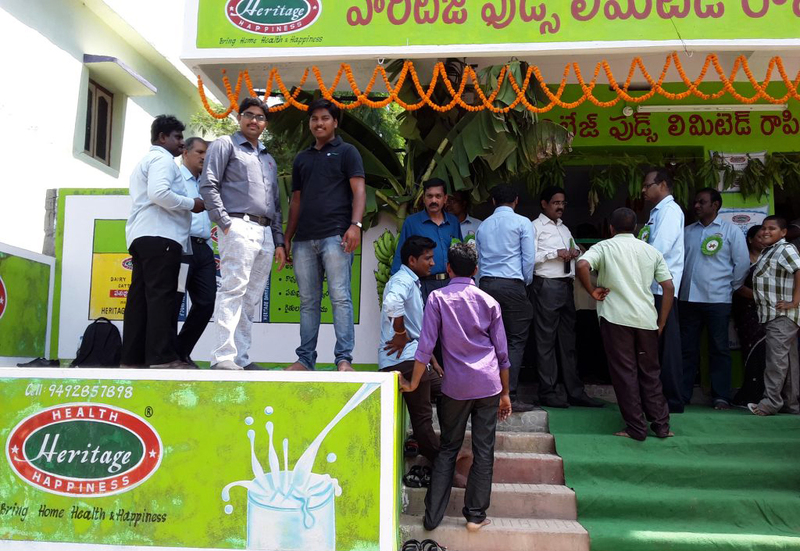 Not content with providing consumers the same products as their competitors, Mr. Ramesh Kolli, Managing Director, Simhadri Dairy, was looking for a solution that would help him bring high-quality milk to consumers in Vizag. In order to achieve this, Simhadri Dairy needed to procure superior quality milk with a high MBRT time, hygienically process it, and bring it to consumers’ doorsteps in the shortest possible time while retaining its natural taste and aroma. 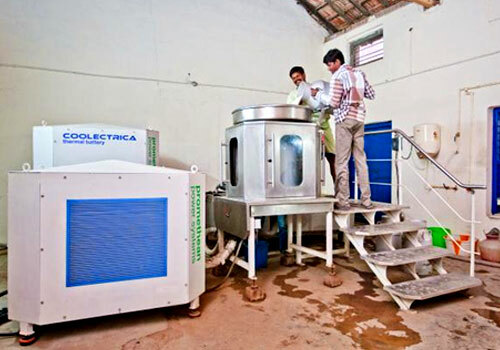 To help Simhadri do so, Promethean Power Systems recommended the Rapid Milk Chiller Premium (RMCP). Using a combination of a rapid chiller and a 1000L stainless steel tank, the RMCP is a modular solution for customers looking to collect high-quality milk. The RMCP first instantly chills milk to 4°C in a single pass and then automatically maintains milk temperature between 4°C and 6°C in the active storage tank without the use of a diesel generator. Mr. Ramesh, who has business interests in the shipbuilding industry in Malaysia and Singapore, entered the dairy industry recently. His plans include selling high-quality milk in the city and its precincts under the Simhadri brand. Simhadri Dairy’s portfolio currently comprises fresh milk (toned, full cream, and skimmed), ghee, curd, paneer, and butter milk. The benefits linked to chilling raw milk rapidly with low operational costs were what prompted Simhadri dairy’s investment in the Rapid Milk Chillers (RMC). Simhadri Dairy essentially wanted a solution to preserve milk quality that would be cost-effective, eco-friendly, and scalable as they expand their collection footprint. 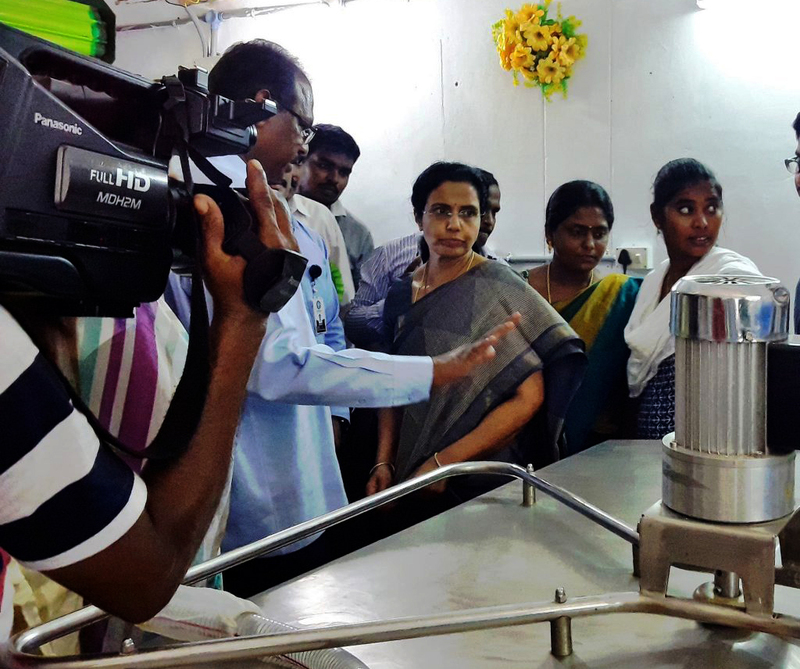 Before placing an order for their very first Rapid Milk Chiller from Promethean Power, officials from Simhadri Dairy wanted to check its performance at an actual site. 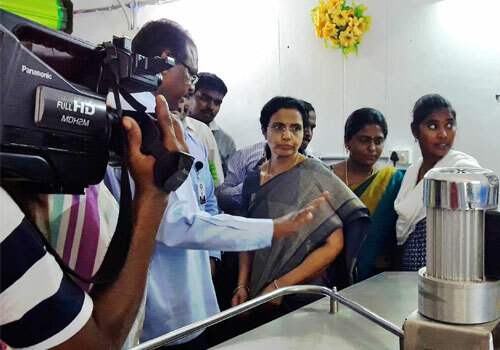 To do this, they visited a milk collection center near Visakhapatnam, where one of India’s largest private dairies uses Promethean’s Rapid Milk Chillers to procure high-quality milk for value-added products such as UHT milk. Excited by the technology and cost-effectiveness of Promethean’s solution, Simhadri Dairy placed an order for a Rapid Milk Chiller Premium. “We are excited about partnering with new and innovative dairy farms as it gives us an opportunity to enable the procurement of more high-quality milk that can be delivered directly to consumers. 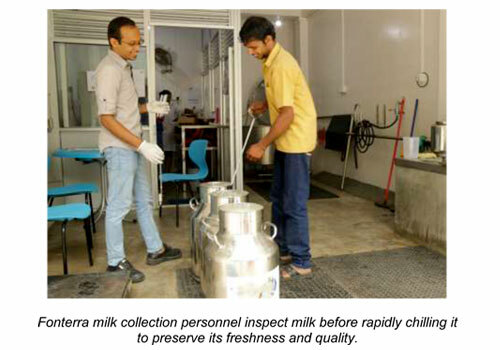 Our RMCP gives the staff at Simhadri Dairy the ability to preserve quality and freshness of milk without having to worry about power outages during milk collection. In addition, our RMCP for Simhadri also features a remote data monitoring system that will help the management track milk chilling operations from their computer or smartphone even as they go about other important tasks,” says Jiten Ghelani, CEO, Promethean Power Systems. With Simhadri Dairy’s milk procurement estimated to increase in the near future, the company is making plans to purchase more Rapid Milk Chillers from Promethean. Promethean Power Systems has developed a milk chiller that operates on a thermal energy battery and can function even in remote Indian villages receiving intermittent electricity supply. 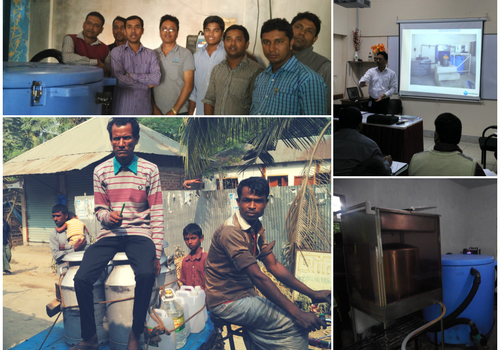 Founded by US-based Sorin Grama and Sam White in 2007, Promethean Power has installed over 200 milk chilling systems throughout rural India. About 20 farmers can use one chiller. These are farmers who were unable to supply milk to dairies earlier because they couldn’t refrigerate the milk without reliable electricity. Click here to read original article! India is the highest milk producing country in the world. In the agricultural economy of India, milk is the second-largest commodity contributing to the gross national product, next only to rice. In 2014-15, India’s annual output of milk stood at 146.3 million tonnes. By 2022, the National Dairy Development Board (NDDB) projects that the demand for milk will reach 180 million tonnes. To keep supply consistent with this projected demand, India’s dairy production needs to achieve an annual incremental increase in of 5 million tonnes. In recent years, the growing population, higher incomes and heightened health awareness among domestic consumers have only created a higher demand for high-quality milk and milk products in India. The effect of this change is evident with retail shelves in the country now making space for value-added products such as UHT milk, cheese, yogurt, and ice cream. These factors collectively turn the spotlight back on the importance of village-level dairy development to achieve sustained volume growth. Experts agree that the need of the hour to meet India’s evolving dairy needs is long-shelf-life products such as ultra-high-temperature processed (UHT) milk. However, the quality of most value-added products is directly related to the quality raw milk, which is determined by its MBRT level. A high MBRT level of milk guarantees its good quality. The Methylene Blue Dye Reduction Test is a quick method to assess the microbiological quality of raw and pasteurized milk. This test has been used as the acceptance or rejection criteria for raw and processed milk. 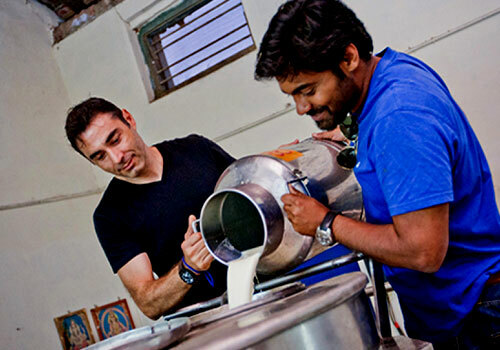 In India, where milk primarily comes from millions of individual dairy farmers who sell milk to the nearest dairy collection center before it is transported to the dairy processor’s facility, it is a challenge to maintain the quality of milk in the face of difficulties such as hot climate, unreliable electricity supply, and other factors such as inefficient milk chillers. Heritage Foods Ltd is one of the fastest-growing public listed companies in India. Heritage Dairy has a chilling capacity of 1.68 million liters per day, a processing capacity of 1.53 million liters per day, and packaging capacity of 1.06 million liters per day. In keeping with shifting dairy consumption trends in India, Heritage plans to bring more value-added products to Indian consumers. The average shelf life of fresh pouched milk that Heritage sells is about 2-3 days. Since this time span creates an impediment in distributing the product in deep rural markets, Heritage wanted to launch UHT milk with a retail shelf life of at least 7 days. However, selling the UHT milk at a premium would turn consumers away. So would a drop in the quality of milk. This called for the deployment of a solution that would keep costs in check while retaining the desired quality of milk. This is where Promethean Power Systems’ Rapid Milk Chiller was able to provide an efficient and scalable solution to Heritage Foods. After the installation of Promethean’s Rapid Milk Chiller Premium in their village collection centers, the MBRT level of milk collected by Heritage Foods has increased to 4.5 hours. Promethean Power Systems Rapid Milk Chiller helps chill milk even in the most remote places where electricity trickles in intermittently. Promethean’s Rapid Milk Chiller is based on thermal energy storage technology which has dual benefits. This milk chilling system instantly cools milk from 35 degrees Celsius to 4 degrees Celsius without the need for a diesel generator as a power backup source. Since it eliminates the use of a diesel generator, it provides cost efficiency as well as an eco-friendly alternative to dairy processors. The Rapid Milk Chiller and Rapid Milk Chiller Premium have shown proven results in increasing the MBRT level of milk. In stage 1, the Rapid Milk Chiller lowers the temperature of milk from 35 degrees Celsius to a mere 8 degrees Celsius within seconds, eliminating most of the bacteria. This is the most important step in assuring the quality of milk needed for a higher shelf life. In stage 2, the chilled milk is then poured into an active cooling tank which reduces the temperature of the milk gradually to 4 degrees Celsius. This solution ultimately helps ensure that by the time milk reaches dairy processors, it continues to remain within the mandated quality parameters. 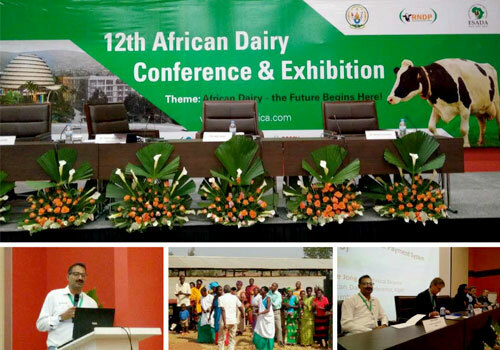 Much like the South Asian markets where Promethean is currently active, the dairy industry in Africa, too, is brimming with latent opportunities.Promethean Power Systems recently had the opportunity to explore this developing market at the 12th African Dairy Conference and Exhibition (12th AfDa). Milk production and consumption in countries such as Kenya, Rwanda, Tanzania, and Uganda is on an upswing. However, the African dairy industry faces numerous challenges.The most prominent of which are: low quality of milk, low production and collection volumes, limited expertise in milk processing and preservation, unreliable grid supply, and long transit times. The 12th AfDa, held in Kigali from August 31 to September 2 2016, was an event that discussed how these changes are shaping the region’s dairy sector. The theme of the 2016 conference was, “African Dairy; the Future Begins Here”. Milk production in Africa has grown steadily in response to the overall economic growth and health awareness. Most of the milk production in East Africa is run by small-scale farmers. There is a growing interest among the governments to develop the dairy industry as it provides a regular income source for the farmers. The major hurdle in all of these countries is the lack of adequate infrastructure both at the farm and at the processing facilities. There is also a conscious effort by the dairy companies to shift the consumption pattern from liquid milk to products such as cheese, yogurt, and flavored milk. All these products require high-quality milk as their input which is an area where Promethean can make a difference. To achieve significant growth in production, the dairy industry in Africa requires solutions that are efficient, cost-effective, and eco-friendly. Promethean’s conventional and Rapid Milk Chillers can potentially address the challenges faced by dairy processors in electricity-scarce African nations. Compared to India and Bangladesh, African nations have a relatively lower ratio of villages where milk is chilled at the village-level. For instance, the entire country of Rwanda has an estimated 100 milk coolers, which is lower even than the number of units installed in a few districts in the Indian state of Maharashtra. This demonstrates the need for implementation of state-of-the-art dairy supply chain technology in the African dairy industry. The conference has helped Promethean open discussions with local NGOs and establishments in Africa. African government officials have shown a keen interest in Promethean’s thermal-energy-based milk chillers and solutions that offer partial usage of electricity. Representatives from “Send a Cow”, an NGO working with small dairy farmers in East Africa, visited the Promethean factory and sites to gain a better understanding of the technology and evaluate implementation in their areas of operation. “With a growing dairy industry and limited electrification, we see Africa as a very promising market for our innovative refrigeration solutions. We believe we can help dairy farmers and processors bring quality products to consumers. Our medium-term plans include the establishment of a permanent presence in Africa. Until then, we are planning to work with African dairy processors by shipping units from India,” said Jofi. Sorin Grama had a great idea. Like, a really terrific idea. It was so good, MIT awarded him one of its most prestigious entrepreneurship prizes: second place in the university’s annual 100K Entrepreneurship Competition. Grama’s team built a machine using old car parts that can heat water without electricity. Think of the possibilities in rural parts of the developing world: Medical clinics could sterilize devices, people could clean clothes with warm water, or they could just take a hot shower, all without being connected to a grid. Revolutionary, right? He had miscalculated. Rural Indians didn’t want to talk about hot water; they wanted to talk about cold milk. “We were a classic case of a technology looking for a problem to solve,” Grama says. 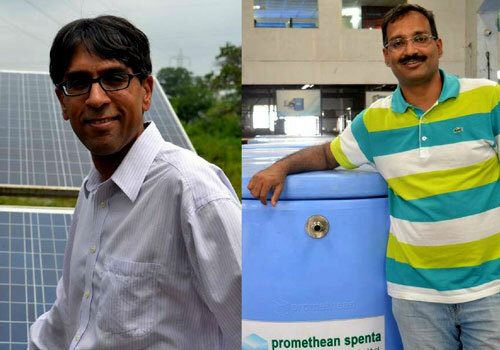 Xconomy Boston — When Promethean Power Systems’ founders wrote the original business plan for their cleantech startup at MIT, they intended to sell their products in India first. But none of them had ever set foot on Indian soil. After winning $10,000 as the runner-up in the MIT $100K pitch competition in 2007, co-founders Sorin Grama and Sam White decided it was time to visit their target market, Grama says. They found a problem by chance, Grama says, during a meeting in India with the managing director of a dairy business. He described the difficulty in efficiently collecting milk from farmers in small villages, and keeping it fresh. Promethean Power Systems’ Rapid Milk Chillers will now help Heritage Foods process higher volumes of better quality milk. Heritage Foods, one of the fastest-growing public listed companies in India, which boasts a processing capacity of 1.53 million litres of milk per day, recently installed Promethean’s Rapid Milk Chiller at its Munagapaka site near Visakhapatnam on June 10, 2016. The unit was inaugurated by Mrs. Bhuvaneswari Nara, vice-chairperson and managing director, Heritage Foods. Within a few weeks of installing the Rapid Milk Chiller, Heritage Foods has seen a 6x increase in milk procurement. The availability of an instant chilling option to preserve the quality of milk and save it from spoilage has inspired confidence among farmers, which has helped increase procurement volume, said officials at Heritage Dairy. Improvements are also being reported in the quality of milk processed. Mr. Divakara Rao, Zonal Head, Visakhapatnam district, said that the unit has helped them achieve a high MBRT level. If you would like to learn more or see a demonstration of the Rapid Milk Chiller, please contact the Promethean team. Founding any new business is extremely difficult and more hard work than most people can imagine. Founding a new technology-based business is arguably tougher than that, and founding a tech hardware (rather than software) venture even tougher than that. But perhaps the toughest of all is developing and scaling a technology-based hardware venture in remote areas with scarce resources for the benefit people living in extreme poverty. A new report from FSG, Hardware Pioneers: Harnessing the Impact Potential of Technology Entrepreneurs, funded by The Lemelson Foundation, investigates the obstacles specific to these hardware pioneers–people working on toilets, lighting, clean water and other innovations that if brought to scale could have major impact on the health, lifespan, and productivity of the world’s poor. Somerville, Mass. and Colombo, Sri Lanka – May 2, 2016 – Promethean Power Systems and Fonterra, the dairy co-operative behind Anchor milk brand, have partnered to introduce a new rapid milk chilling technology that will drastically improve the quality of Sri Lankan milk. In just a matter of seconds, Promethean Power Systems’ rapid chillers chill the milk that the farmers deliver to their local collection centers. The technology – the first of its kind – uses an innovative thermal energy storage device to overcome limited and sometimes unreliable electricity supply in rural areas. The milk chiller is being piloted at Fonterra’s milk collection center in Doluwa, with plans to roll out the technology across Fonterra’s milk collection network across Sri Lanka. “An important part of our efforts to improve milk quality is using refrigeration systems that can chill milk in a cost-effective and safe way closer to the rural dairy farmers who supply it. This helps to reduce milk waste in the supply chain, and creates more value for our farmers,” said Mr. Perera. Promethean Power Systems manufactures a range of milk chillers which are quickly being adopted in other countries, such as India, because of their ability to chill the milk rapidly to four degrees Celsius using limited grid power. Promethean’s innovation is centered on a thermal battery designed specifically for refrigeration applications in rural areas. “The thermal battery serves a dual purpose: it provides backup for the unreliable grid and it releases thermal energy to rapidly chill the milk and preserve its quality”, said Mr. Sorin Grama, Promethean’s co-founder and principal inventor of the technology. Systems’ milk chilling technology could provide a viable solution. This research led to the Fonterra-Promethean partnership to install the first rapid milk chiller of its kind in Sri Lanka. Each day, farmers deposit about 800 litres of milk at Heritage Dairy’s collection centre in Meerkhanpet village, near Hyderabad. Promethean Power System’s cold storage machine cools the milk in three minutes flat. In case of a power cut, the thermal battery gets into action, working without break to ensure the milk reaches the processing centre fresh and safe. Miles away in Pune, Marc Cremer and his workers at GreenTokri farms pack fresh lettuce leaves every morning for distribution to customers across the city. Cremer has invested in a cold storage machine, where lettuce from his farm goes directly after harvesting and is instantly cooled to 3°C before being packed into thermocol boxes with Cryo-Gel. So the salads arrive farm-fresh at the retail outlets at 3pm. The cold storage at GreenTokri greatly reduces wastage, an evil that plagues most of India’s farming sector. © 2018 Promethean Power Systems. All rights reserved. | Website by Barking Dog Studio.